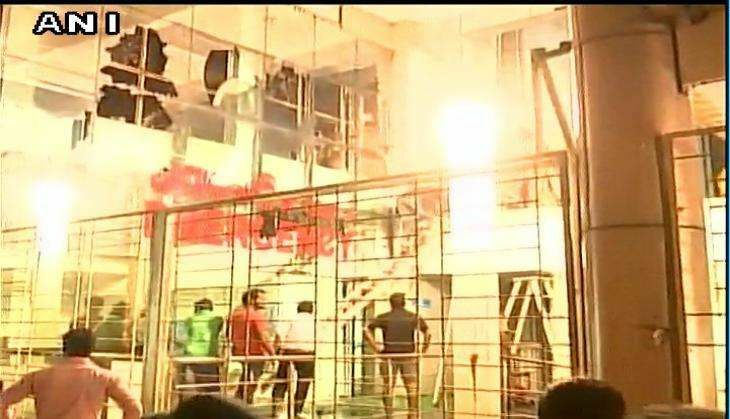 Odisha Health Minister Atanu Sabyasachi Nayak today resigned from his position after 25 patients were killed and over 100 sustained injuries in an inferno that broke out at SUM Hospital in Bhubaneswar on 17 October evening. Earlier in the day, the Chief Judicial Magistrate sent hospital founder Manoj Nayak in two-day police remand. Nayak was arrested on 20 October by police after he surrendered before it and was produced before the Sub Divisional Judicial Magistrate Court in Bhubaneswar last evening. He was booked under section 304 (punishment for culpable homicide not amounting to murder), 308 (attempt to commit culpable homicide), 285 (negligent conduct with respect to fire or combustible matÂ­ter) and 34 (acts done by several persons in furtherance of common intention) of the Indian Penal Code (IPC) for poor fire safety measures at his hospital.